Everyone’s favorite comedic master thief is back and this time in a proper live action treatment (not that GMA7 trying-hard version of ours). Opening in Japan this August, Lupin the 3rd puts Hana Yori Dango’s Shun Oguri in the pivotal role. Directed by Ryuhei Kitamura best known for his work in Azumi, Lupin the 3rd is Kitamaru’s Japanese “comeback” film after spending time directing small genre-specific western films (The Midnight Meat Train and No One Lives). Basing it off the trailer, it seems like the gang has already had some history and joins together in an attempt to steal a rare jewel known as the Crimson Heart of Cleopatra. 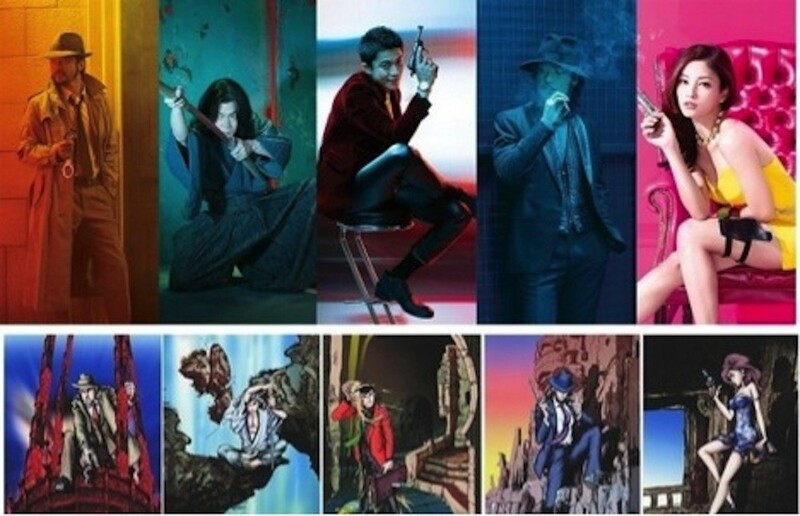 Of course Inspector Zenigata (Tadanobu Asano) will always be on the trail of Lupin and his cohorts – Jigen (Tetsuji Tamayama), Goemon (Gō Ayano) and on-again-off-again love fling Fujiko (Meisa Kuroki).